Hari, together with his brother Shyam, is the Founder and Co-Chairman of Jubilant Bhartia Group (www.jubilantbhartia.com) headquartered in New Delhi, India. Jubilant Bhartia Group, valued at around US $ 5 Billion and 39,000 employees globally, has leadership position in diverse sectors like Pharmaceuticals, Life Science Ingredients, Drug Discovery Services, Performance Polymers, Food Service (QSR), Automobile, Retail and Consulting in Aerospace and Oilfield Services. The Group has three companies listed on Indian Stock Exchanges, namely Jubilant Life Sciences Limited, Jubilant FoodWorks Limited and Jubilant Industries Limited. Shyam, together with his brother Hari, is Founder and Chairman of Jubilant Bhartia Group (www.jubilantbhartia.com) headquartered in New Delhi, India. The Jubilant Bhartia Group, with around 39,000 employees globally, has a strong presence in diverse sectors like Pharmaceuticals, Drug Discovery Services and Life Science Ingredients, Performance Polymers, Food Service (QSR), Automobile, Retail and Consulting in Aerospace and Oilfield Services. Jubilant Bhartia Group has three Companies- Jubilant Life Sciences Limited, Jubilant FoodWorks Limited and Jubilant Industries Limited, listed on Indian Stock Exchanges. Mrs. Sudha Pillai, 63 yrs, is an Independent Director of the Company. She is a post graduate in Psychology (gold medalist), Punjab University and in Public Administration, Harvard University, USA with special areas of interest in Impact of Foreign Direct Investment on Employment & Growth, Macro Economic Policy, World Food System, Equity in Rural Development Policy, Leadership & Mobilization of Group Resources. Mrs. Pillai joined the Indian Administrative Services in 1972 with Second Rank on all India basis. She has served as Subollector and District Collector, Trivandrum, Chairman & Managing Director of Kerala Finance Corporation, Secretary Finance (Coordination), Govt. of Kerala, Principal Secretary (Finance) Govt. of Kerala. 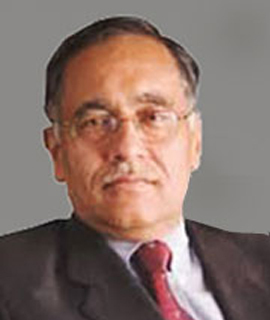 Dr. Ashok Misra, 67 years, is an Independent Director of the Company. He is B.Tech. in Chemical Engineering from Indian Institute of Technology, Kanpur and M.S. in Chemical Engineering from Tufts University, Medford, MA, USA. He was conferred a Doctorate Degree in Polymer Science & Engineering by the University of Massachusetts, Amherst, USA in 1974. Presently, Dr. Ashok Misra is Chairman-India, Intellectual Ventures. He is on the Board of Governors of the Indian Institute of Technology, Delhi and Member of the IIT Council. He is also member of Advisory Board and Investment Committee of Aditya Birla Private Equity. Mr. Sushil Kumar Roongta, 67 years, is an Independent Director of the Company. He holds a Bachelors’ Degree in Electrical Engineering from Birla Institute of Technology and Science, Pilani, Post Graduate Diploma in Business Management-International Trade from Indian Institute of Foreign Trade, New Delhi and is a Fellow of All India Management Association. He became Executive Chairman in August 2006. He was the first Chairman of International Coal Ventures Limited. He was appointed as a member of the Executive Committee of the World Steel Association, Brussels. He is Chairman of Panel of Experts on Reforms in Public Sector Undertakings, Planning Commission and Steel Committee, FICCI. Mr. S. Sridhar, 62 years, is an Independent Director of our Company. He studied at the Indian Institute of Technology, Delhi and Jamnalal Bajaj Institute of Management Studies, Mumbai. He was awarded the Lord Aldington Banking Research Fellowship for the year 1984 by the Indian Institute of Bankers. He has received many awards/ honours, particularly for his innovative business models and institution building. 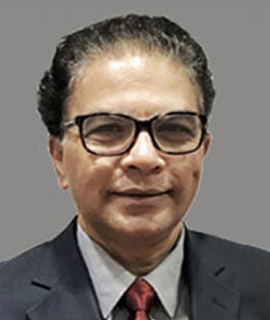 Mr. S. Sridhar was Chairman and Managing Director of Central Bank of India until May 31, 2011 and earlier of National Housing Bank, India’s regulator of Housing Finance Companies and the apex Financial Institution for housing. Mr. Vivek Mehra, 62 years, is an Independent Director of the Company. He is a well-respected tax and regulatory professional with over 35 years of experience in tax, regulatory and M&A tax structuring and consulting space. He is B.Com. Hons. and Chartered Accountant. He has held various leadership roles in Pricewaterhousecoopers Private Limited (‘PWC’). He was Executive Director of PWC till April 2017. He was also Independent Director on the Board of Union Bank of India, Punjab & Sind Bank and Ranbaxy Laboratories Limited. Mr. Arun Seth, 66 years, holds a Bachelor’s degree in Engineering from Indian Institute of Technology, Kanpur as well as an MBA from Indian Institute of Management, Calcutta. He is on the Boards of various listed and unlisted companies. Rajesh Srivastava, 52 years, presently the Co-CEO of Jubilant Life Science Ingredients business of Jubilant Life Sciences. Rajesh holds B. Tech degree in Chemicals Technology from Harcourt Butler Technological University (HBTU) Kanpur and Master in Marketing Management from Jamunalal Bajaj Institute of Management Studies, Mumbai. Mr. Priyavrat Bhartia, 40 years, holds a Bachelors’ Degree in Economics from Dartmouth College, USA and Masters in Business Administration from Stanford University (USA). Mr. Priyavrat Bhartia is Whole-time Director of Hindustan Media Ventures Limited and is also on the Board of number of companies including Jubilant Industries Limited, HT Media Limited, The Hindustan Times Limited and Jubilant Enpro Private Limited. Mr. Arjun Bhartia, graduated from Brown University, USA in 2008. He then worked as a management consultant for Bain & Company before joining Jubilant. He is also a Whole-time Director in Jubilant Consumer Private Limited which is involved in various food related businesses. Mr. Pande is B.E. (Hons.) in Chemicals and M.Sc. (Hons.) in Chemistry from Birla Institute of Technology & Science, Pilani. He has 33 years of experience in Chemicals, Pharmaceuticals, Agrochemicals and Petrochemicals industries. He is the Chief of Operations-Life Sciences Ingredients business.